1. 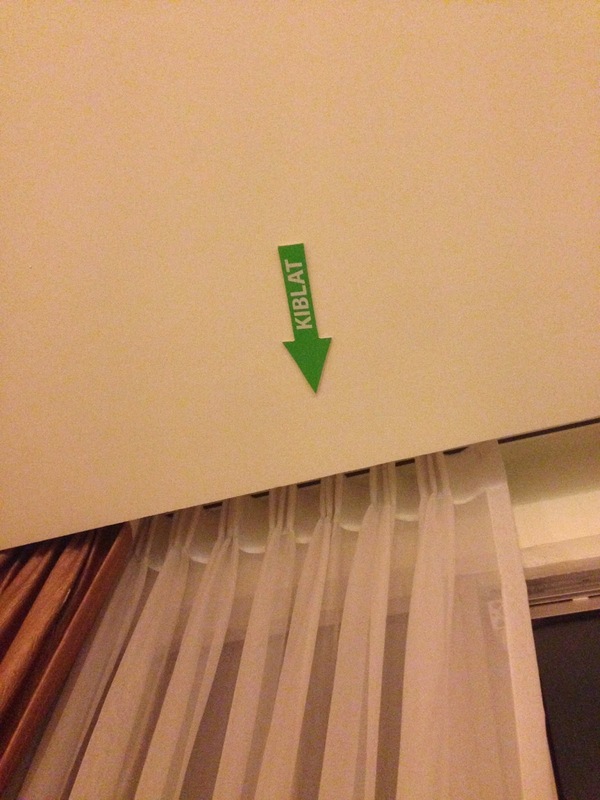 Every room has a Kiblat sign, which points to the direction of Mecca. Muslims pray five times a day and they must face Mecca when doing so. 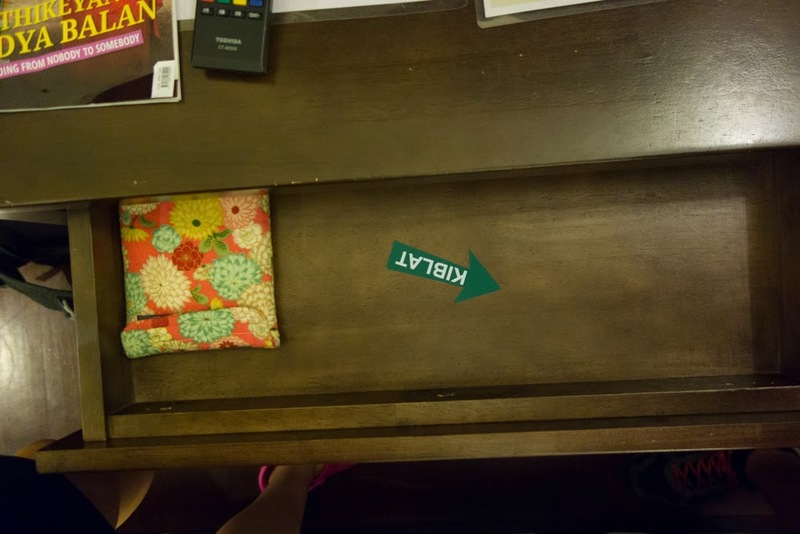 The signs are very discretely placed, so they are almost not noticeable. 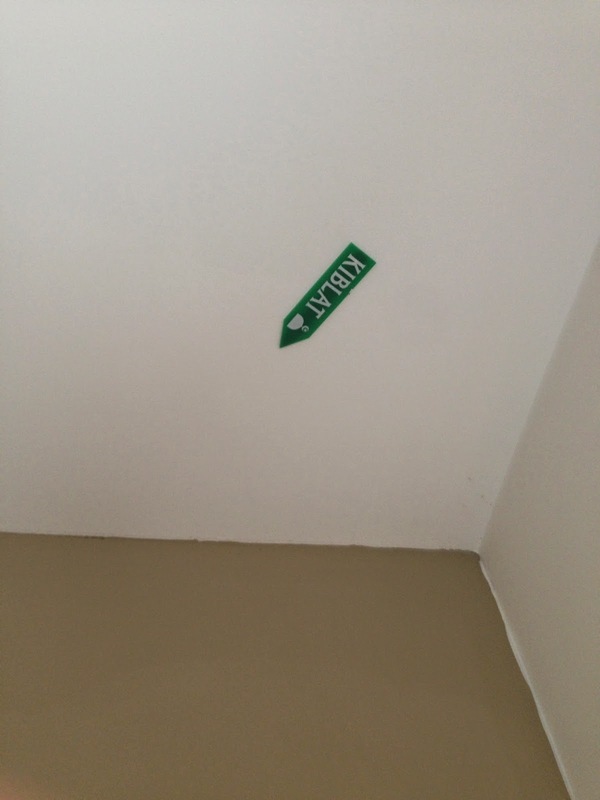 Often times they are on the ceiling, and once I found one in a drawer. 2. 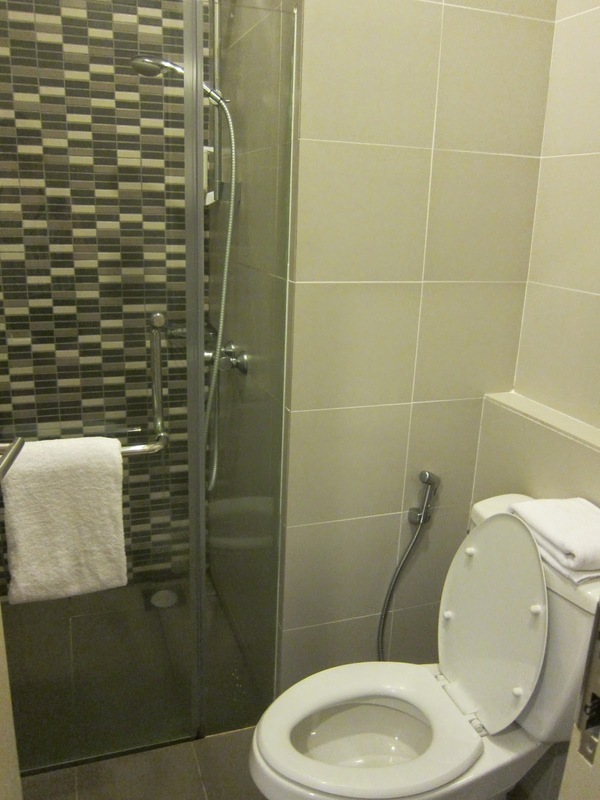 Each room has a water heater for the shower, which must be turned on 5 minutes before taking a shower. I was not used to this so I kept forgetting to turn the water heater on before taking a shower…and I had many cold showers. I'm not sure why the water heater can’t just be left on all day, like in apartments in other countries, but apparently that’s not how it works here. 3. 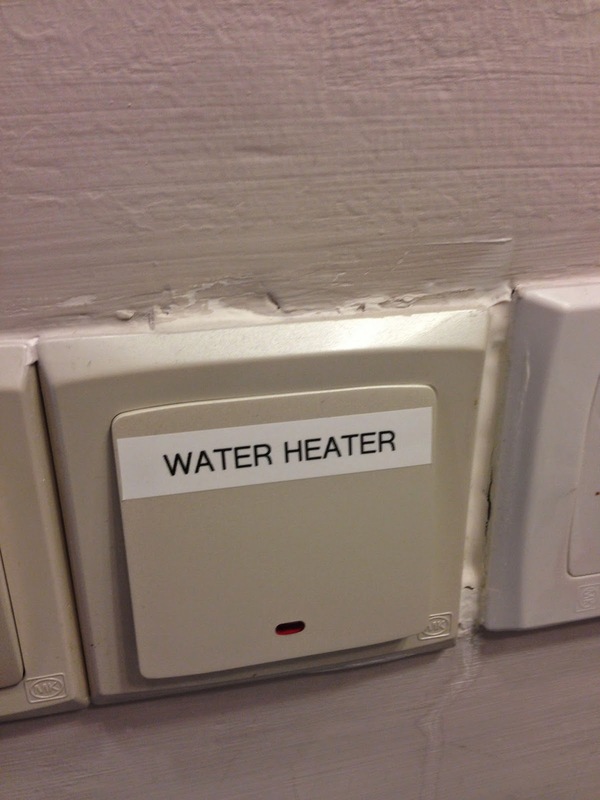 The AC has an on-off switch too. 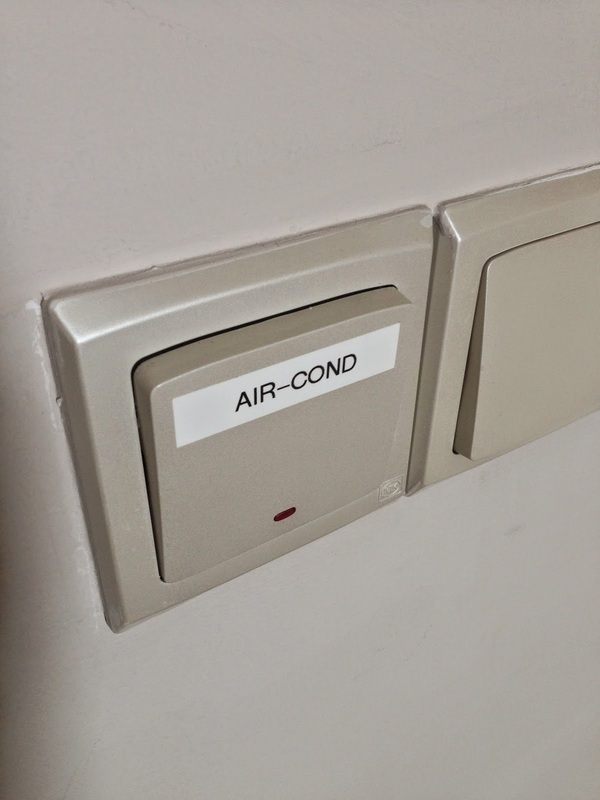 In Japan, the AC was only controlled by a remote but in Malaysia, the on-off switch is built into the wall. Also, notice how the abbreviation for "air-conditioner" is "Air Cond," as opposed to "Air Con" in Japan and "AC" in America. 4. As in America, the toilet and shower are in one room However, there is no wall or curtain that divides them, so when you take a shower, the walls, floor, and toilet get horribly wet.